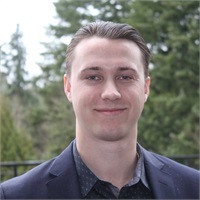 Blake Dutton | Pacific Capital Resource Group, Inc.
Blake serves as an account manager for a premier adviser group at Pacific Capital Resource Group, Inc. in Lake Oswego, Oregon. Blake and his team specialize on working with owners of closely held businesses in the areas of retirement income planning, business planning, and estate planning. Whether you’re a business owner growing or transitioning your business, or a family who is approaching retirement or in need of estate planning, Blake and his team are here to provide solutions to help you, and the incomes and lives that depend on you. A native of Lake Oswego, Blake was a distinguished athlete. After graduating from Lakeridge High School, he attended the University of Denver on a lacrosse scholarship. Following injury, Blake moved to Southern California and graduated from Chapman University with a Bachelor of Science in Economics. In addition to his involvement in the Lake Oswego community, Blake remains active in the Chapman community through involvement in the Chapman Alumni Association. Blake enjoys a number of different activities including: fly fishing, snowboarding, attending sporting events and boating on the Willamette.